Business advice and help in Wigan, Bolton and Manchester. Tax efficiency being incorporated in to your trading process. Taking advantage of the internet and E-Commerce. Making sure your company competes effectively. Practical advice is provided by Tax50 on how to manage your affairs in the most efficient manner possible. The advice from Tax50 is tailored to suit your business and lifestyle requirements, helping you understand how to fit Best Practice in to your life and making sure your business adheres to its statutory obligations of compliance and administrative standards. Tax50 will help you avoid costly late filing penalties. No matter what size of business you have or what industry sector you operate in, Tax50 has the right Accounting Solution and advice for you. Let Tax50 help you focus on your core goals and the founding principles of your business while giving you excellent business advice that will help your business grow. Tax50 also has a large network of professionals that can help you with matters such as loans, bank accounts, mortgages and corporate recovery. 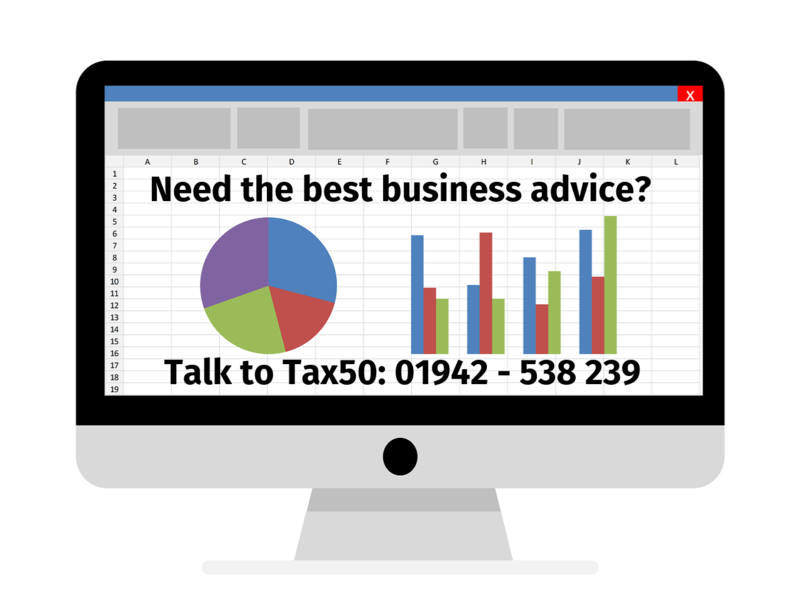 If you are looking for the best advice available to you then Tax50 is the right accountant for you.